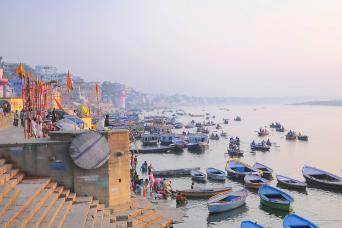 India is a country of mysticism and wonder, full of architectural delights and stunning wildlife. From the iconic Taj Mahal and bustling streets of Delhi to the birds and tigers of the beautiful Ranthambhore National Park, discover India’s ‘golden triangle’ of delights for yourself on this exciting tour. 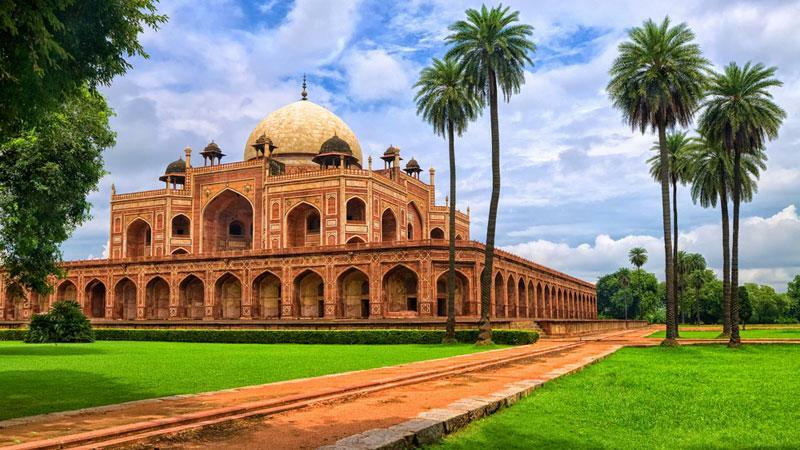 Your trip starts in Delhi where you will explore the treasures of Old and New Delhi including the Red Fort, Mahatma Gandhi’s memorial, Jama Masjid mosque, the bustling Chandni Chowk bazaar and Humayuns’ Tomb. 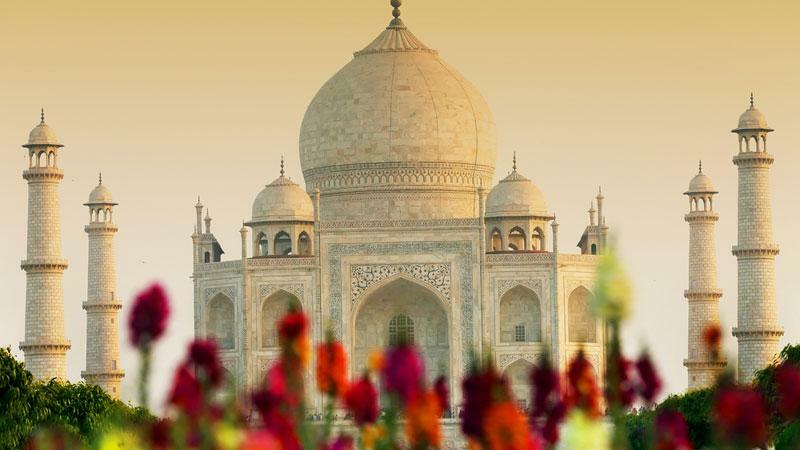 The next highlight is the Taj Mahal, one of the world’s iconic buildings the white marble tomb was crafted by 20,000 craftsmen over 22 years (1631 – 1653) by the Emperor Shah Jahan for his beloved Queen Mumtaz. Leaving Agra you travel to Ranthambhore National Park, one of the Project Tiger’s great successes. 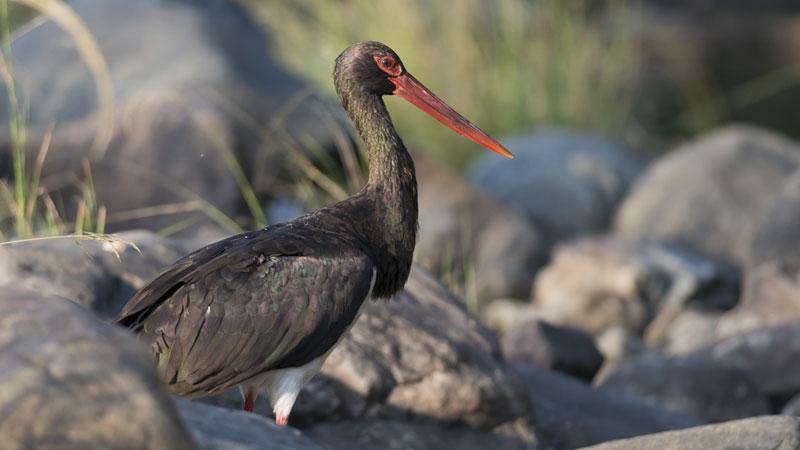 Two game drives reveal the abundant bird and animal life, hopefully including tiger sightings. Your next stop is Jaipur, the City of Victory which bursts with, beautiful palaces, hilltop forts and energy. It is truly beguiling and your base for two nights. 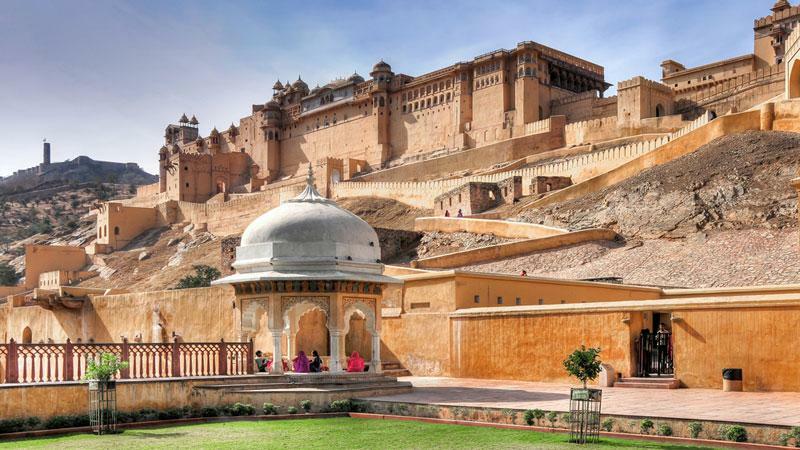 Your private full day sightseeing tour includes the Amber Fort, the City Palace, the Armoury Museum, the Hawa Mahal, or Palace of the Winds and the Jantar Mantar, the largest stone observatory in the world. Your trip ends with a drive back to Delhi and final overnight. Temples, Tigers and Taj is a discovery tour that explores the history, culture, wildlife and essence of this enchanting triangle of India. You will be travelling independently with your own driver and stay in 4 star and heritage hotels each night. 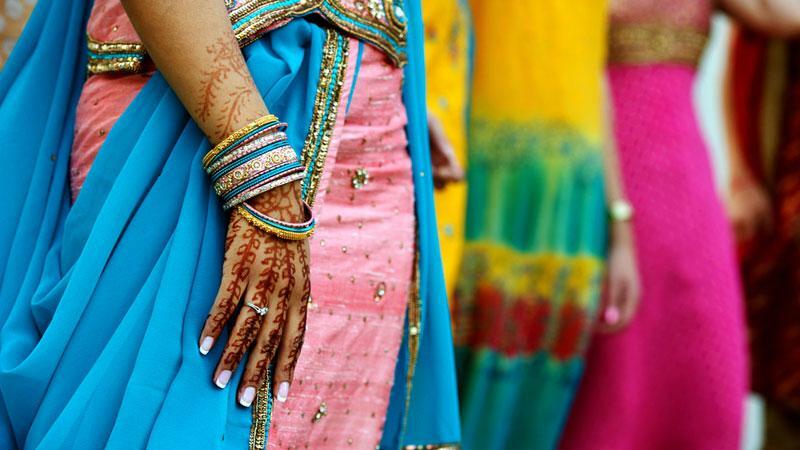 In each location you will be guided by local expert guides to give colour and flavour to your experience of India. On arrival at Delhi’s international airport, our representative will meet you and transfer to your hotel. After you have checked in the day is yours to relax and enjoy. India’s capital city, Delhi, is a unique and fascinating blend of two very different cities, Old and New Delhi. Each has its own distinctive flavour and character. Today your guide will share the highlights of Delhi with you. 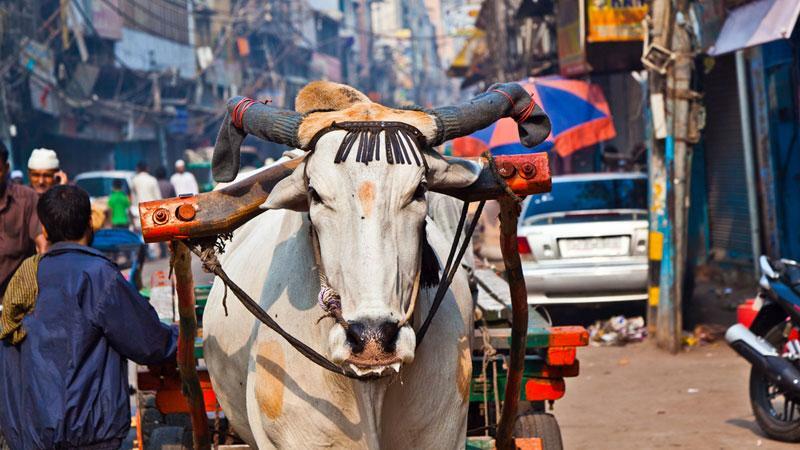 In the morning your guide will take you on an immersive walking tour of Old Delhi. Visit Old Delhi’s Red Fort, Mahatma Gandhi’s memorial, Jama Masjid mosque and the bustling Chandni Chowk bazaar. After lunch we explore the sights of New Delhi including the 12th century Qutab Minar, Humayuns’ Tomb, Lakshmi Narayan Temple, India Gate, the President’s residence, Parliament House and the Secretariat buildings. After breakfast we depart Delhi for Agra, a five hour drive. On arrival we check in to your hotel and then in the afternoon visit Agra Fort and enjoy the sunset view of the Taj Mahal from Mehtab Bagh. Activity: Drive Delhi to Agra (205km, 5 hrs. ), Tour of Agra and evening view of the Taj Mahal. If there is one image that sums up India to the world, it is the Taj Mahal. The white marble tomb was crafted by 20,000 craftsmen over 22 years (1631 – 1653) by the Emperor Shah Jahan for his beloved Queen Mumtaz. 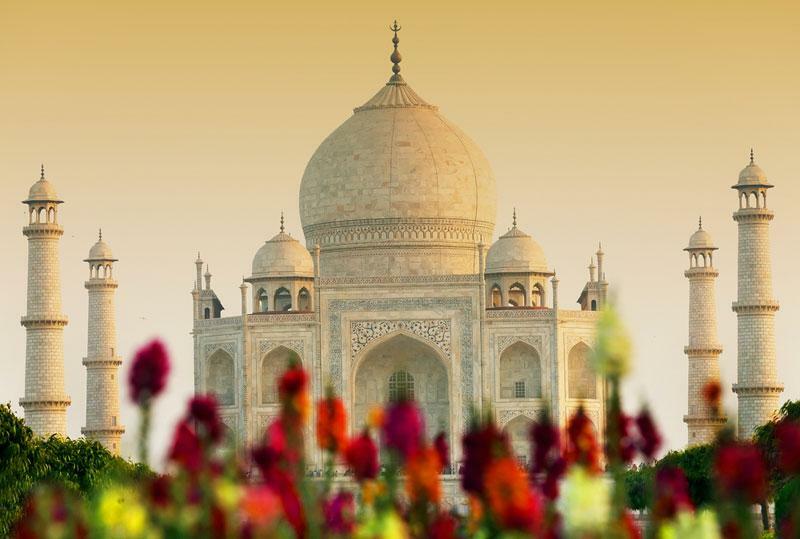 Your guide will collect you from your hotel before dawn and take you will discover the Taj Mahal as the sun rises. A truly memorable experience. After a late breakfast at your hotel we drive to Ranthambhore . Your first stop after 40km is the abandoned ghost city of Fatehpur Sikri. Next you stop at Bharatpur for lunch and enjoy a rickshaw ride around the Keoladeo National Park, a wetland reserve where over 230 species of bird have been recorded. Later you continue to Ranthambhore National Park, one of the prime examples of Project Tiger’s conservation efforts in Rajasthan. Activity: Guided tour of the Taj Mahal. (The Taj is closed on Fridays. If this affects your planned itinerary we will visit the previous evening.) Drive Agra to Ranthambhore (260km, 7 hrs. ), Keoladeo National Park rickshaw ride. The forests around the Ranthambhore Fort were once the private hunting grounds of the Maharajas of Jaipur. The desire to preserve the game in these forests for sport was responsible for their conservation and subsequent rescue by Project Tiger. 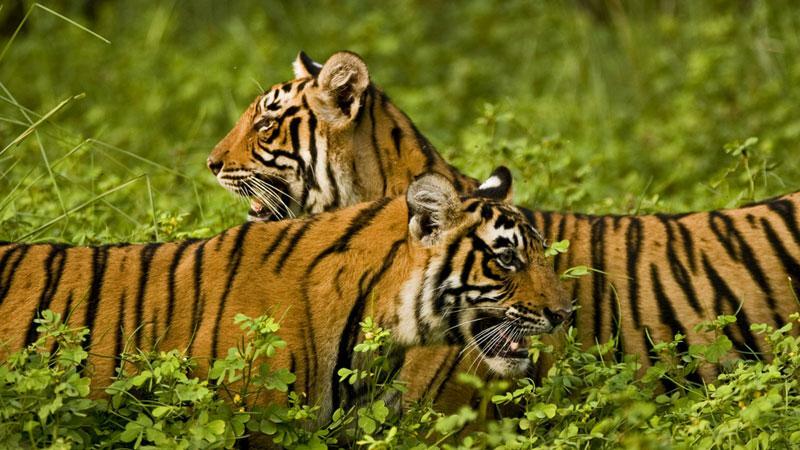 More than in any other park or sanctuary in India, tigers are easily spotted here in daylight. Your day begins early with a game drive into the National Park tracking tigers and other wildlife before returning to the resort at 10:00 for breakfast and a relaxing day at the pool or visiting the town. A further early evening safari gives you another opportunity to spot Ranthambore’s famously inquisitive tigers, but if you don’t spot any tigers, don’t worry, there is plenty of other wildlife for you to admire, from foxes and hyenas to some incredibly rare birds. Activity: 2 game drives in Ranthambhore National Park. After breakfast, you can visit Ranthambhore Fort, built in the 10th century, which commands a panoramic view of the Tiger Reserve. The fort also houses some splendid monuments within its precincts. Later continue to drive towards Jaipur. Check in Hotel. Day free to rest and relax. Jaipur is a city of history and tradition, dating back to its foundation in the 17th century by Sawai Jai Singh, from whom it derives its name. architecture, all of which is painted pink to this day. 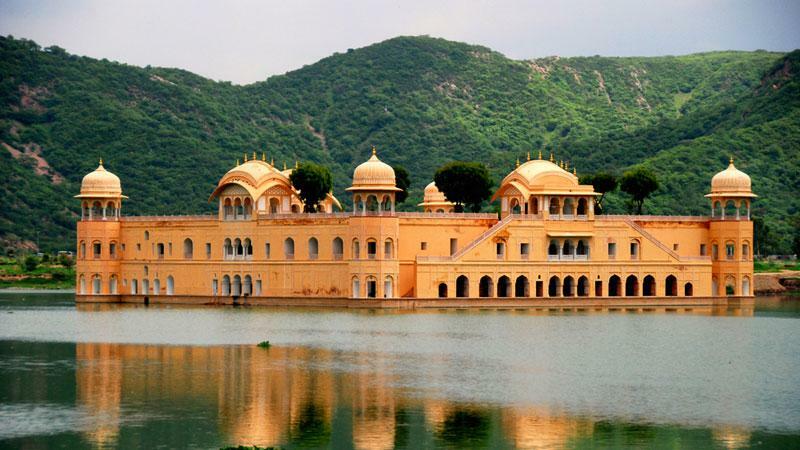 Jaipur is almost equidistant from Delhi and Agra and forms part of the famed Golden Triangle. Today you explore the fabulous palaces of Jaipur starting with a brief stop at the Hawa Mahal, or Palace of the Winds, before driving out of town, to visit the Amber Palace. At the Amber Palace you can choose to walk or go by elephant up to the entrance of this romantic, traditional Rajasthani palace. The interior of this dramatic hill-top fortress is filled with beautiful miniatures depicting hunting and battle scenes, along with precious stones and mirrors embellishing the plasterwork walls. The Jag Mandir, or Hall of Victory contains the extraordinary Sheesh Mahal, where all four walls and the ceiling are completely covered with glittering mirror pieces, creating a beautiful effect. After lunch you can look forward to an immersive half-day walking tour of Jaipur taking in the City Palace, the Armoury Museum, the Hawa Mahal, or Palace of the Winds and the Jantar Mantar, the largest stone observatory in the world. 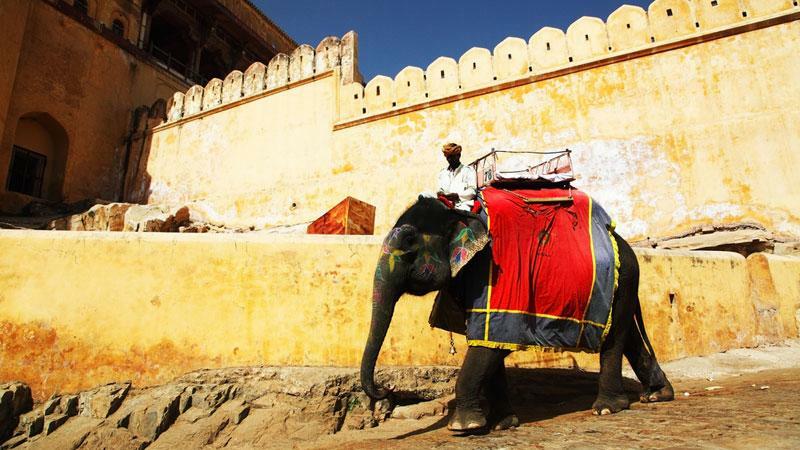 Activity: Full day sightseeing of Jaipur’s Palaces including Elephant ride. Optional activity: Authentic Indian cooking class at Shahpura House Hotel. After breakfast we drive back to Delhi and you have the evening free to rest and relax. We will transfer you to the airport in plenty of time for your flight home. 8 Nights accommodation is carefully selected hotels of character are included in your trip. Our standard Taj, Temples & Tigers tour is based on our superior accommodation package. 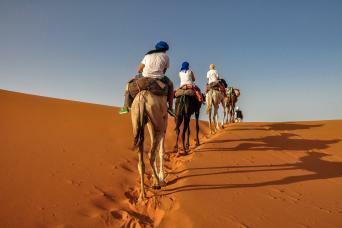 We can also arrange the tour using luxury or comfort accommodation packages. Single rooms are available, there is a supplement payable. Our superior package uses a mix of luxury city hotels (4 & 5 star), resort hotels and authentic palace hotels. If the hotels detailed below are not available we will book hotels of the same or better standard. The Park Hotel is ideally located close to Connaught Place at the heart of New Delhi. A modern hotel decorated in contemporary style, the park offers all the services of a superior hotel including restaurants, bars, a pool and spa. The Wyndham Grand is an opulent resort hotel decorated in lavish style featuring acres of marble and rich features. Set in 18 acres of gardens and boasting Agra’s largest swimming pool the hotel has every amenity you would expect of a luxury hotel. The Ranthambhore Regency is a family run hotel that prides itself as a friendly hotel that offers relaxation along with a personal touch. Comfortable air-conditioned rooms, a pool, well organised safaris to the national park, a pool and peaceful garden make this hotel a favourite for our guests. Shahpura House is a richly decorated historic house located in a quite area of Jaipur. Each individually decorated room leads of richly decorated courtyards boasting intricate frescos and chandeliers. Intimate restaurants and a rooftop terrace are just some of the dining options. A pool and spa complete the picture. 8 Breakfasts, 2 evening meals and 2 lunches (Ranthambhore) are included. Dinner is available at your hotel or locally. Your comfort and safety are our priority and all transfers and sightseeing is by chauffer driven air-conditioned vehicles, which are a maximum of 3 years old and maintained to a high standard. Depending on your party size we use; 2-3 Toyota Innova, 4 - 6 Tempo Traveller and for 7 - 10 Mini Coach. You will have the same driver for the duration of your trip. All our drivers speak basic English and are fully trained and qualified. Sightseeing and cultural tours are carried out by local guides who speak excellent English in each location so that you get the best insight into each destination. 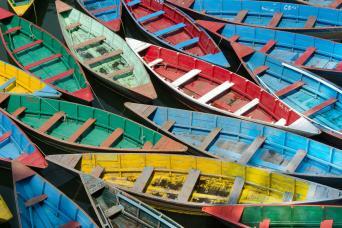 This discovery trip is graded easy and suitable for all abilities and ages. Sightseeing is by foot, car, jeep, rickshaw and elephant. Our pre-departure information pack has detailed advice on what to pack. Binoculars are highly recommended. November to March is the best time of year to enjoy this trip as temperatures are mild and it is easier to see Tigers. November to February is particularly good for bird watching in Ranthambore. October and April are possible but it can be very hot. It is a requirement of booking this tour with Macs Adventure that you have suitable travel insurance which covers you for cancellation, curtailment, the activity and emergency evacuation and hospital care. The distances are approximations of the recommended routes. Please be prepared by packing all nexessary items, for example, proper rain gear (jacket and pants), sunhat, sunscreen. Your information pack has a detailed equipment list which includes all that you will need for your trip. By Air: Delhi International Airport (Indira Ghandi Airport) has excellent connections to UK, European and International destinations. Flights are not included in our package price. Personal expenses such as laundry, drinks, telephone bills and airport tax. We suggest you book as soon as your plans are finalised as the region is extremely popular. However, we will always try our best to accommodate your plans. October and April are possibility but it can be very hot. If you would like to discover the highlights of the Golden triangle and the Tigers of Ranthambhore in a short visit to India then this is a great way to do it.